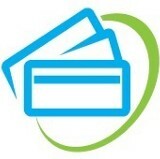 GreedyRates.ca is Canada's Newest & Best Source for Unbiased Credit Card Information, Reviews and Comparison Tools. Find a new credit card & start saving today! GreedyRates.ca hasn’t been active on Medium yet. Check back later to see their stories, claps, and highlights.